Ah, McKinsey! Just the name causes a feeling mingling dream and fear among most candidates to consulting careers. As always, a passage by one of the local offices like the one in London, and the corporate website, are a prerequisite for those who wish to prepare for a series of interviews in the king’s consulting firm. The firm offers to give its vision of the junior consultant or junior business analyst in McKinsey jargon, then you would be wrong not to view this short seven minute video. There are two remarks that characterize well the mindset at McKinsey. First, you will find that in contrast to BCG, the website of the London Office is only a subdomain of the corporate site. While BCG London has its site “independently” from the network, we do not find this model at McKinsey. This is an illustration of the “global” positioning claimed by McKinsey. 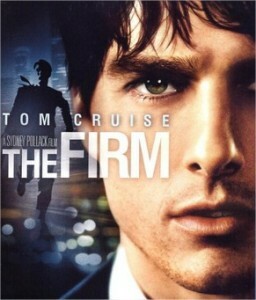 On the other hand, in the film presenting a business analyst, the introduction is also talking: we perceive the American cultural significance in the culture of the firm. There again, this trait is much less developed at BCG. I make no value judgment on those elements that are pillars of this consulting firm: there really are pros and cons in this position, and honestly the least we can say is that it has been fairly successful for that firm until now! The key is whether this positioning and culture fit with yours. It’s up to you to answer this question! Is McKinsey really the undisputed leader in strategy and management consulting? From my point of view, it depends on the geographical location of the firm. For example, it is known that in France, in Japan, or still in Boston, BCG is in stronger position than McKinsey. 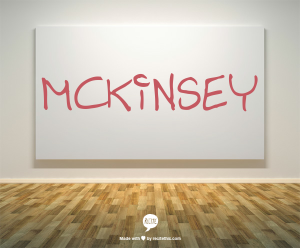 Elsewhere, McKinsey is today the leader of management and strategy consulting. The dominance of this cabinet is even stronger in Germany, Dubai, and China. McKinsey has its headquarters in New York. The company has 9,000 consultants in 50 countries and more than 100 offices. The turnover of McKinsey is $8 billion USD per year. The most important thing is that this company, alone, represents the picture and all the clichés of strategy consulting. Whatever the official rankings, in real life, McKinsey was and remains the most prestigious consulting firm in the world. The McKinsey Company’s history began in 1926. A Professor of the University of Chicago, James McKinsey, decided to leave his career to found a company in the financial field. I must say that James McKinsey was a professor of accounting; this probably explains that. 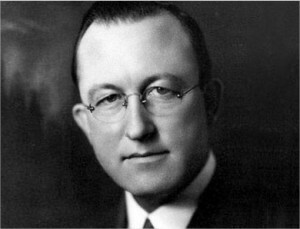 A few years later, Marvin Bower, who held an MBA from Harvard, joined McKinsey and gave it the reputation as an excellent firm. Under his leadership, he developed a practice in the field of management consulting. The network extended first within the United States in the 1940s, and internationally in the 1950s. The reference journal McKinsey Quarterly was founded in the 1960s. The 1990s saw the retirement of Marvin Bower and the foundation of the McKinsey Global Institute. In the 2010s, McKinsey has placed the focus on its development in Asia, on the strengthening of its activities in the public sector and on increasing its social impact. If one were to compare McKinsey to an institution, which would no doubt be a University. The senior partners are a bit like University professors, and young consultants are the mirror image of brilliant students who have everything to learn. The company uses the famous career development process up or out to quickly promote the best consultants and get the others out of the business. In terms of practices and industries, you can do everything at McKinsey! I do not share the idea that McKinsey operates better only on certain practices over others. The firm intervenes in everything that may require intellectual reflection in relation to the economic and social world, so it’s spectrum of activities is wide! The options after McKinsey are among the most open that currently exist in the world of work. You can literally do everything: continue your career in the industry, in services, in consulting, or as an entrepreneur. The former McKinsey consultant has the high work standards, a perspective on the business world, and access to one of the most powerful professional networks in the world. All these factors make working life after McKinsey a field of opportunities simply extraordinary in the literal sense of the term. This is a network of veterans which is simply impressive. This following is but a very short excerpt from this network. I chose not to cite businesses that have been directed by a former McKinsey – see in below picture William Hague, British Foreign Minister, Sheryl Sandberg, the COO of Facebook, and the Italian Minister of Economy, Corrado Passera.